Welcome to our Spring 2014 issue. The pound has had a cracking start to the year and as we go to press it’s the highest it’s been against the euro for a year, and the strongest against the US dollar for five. On the assumption that many of you will be hot-footing it to Spain, France, Portugal or Florida - our web traffic suggests these are your current favourites - we’ve got plenty of ideas and advice for buying property in these markets, along with other classics: Italy, Turkey, Greece and Cyprus. 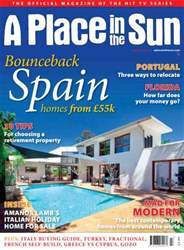 We even offer you the chance to buy Amanda Lamb’s holiday home in sun-drenched Puglia on page 121; it kicks off our Italian buying guide. In stark contrast to the steady ascent of sterling, the Turkish lira’s had a volatile six months and we suggest there is a currency-based window of opportunity there for buyers with their eye on resorts such as Kalkan, Bodrum and Fethiye - see page 59. 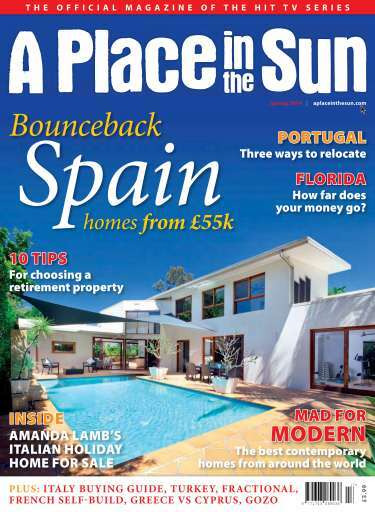 Never afraid to tackle difficult subjects, we take on two in this issue: inheritance tax (page 115) and Spanish legislation on holiday rentals (page 45). How both might aff ect you?